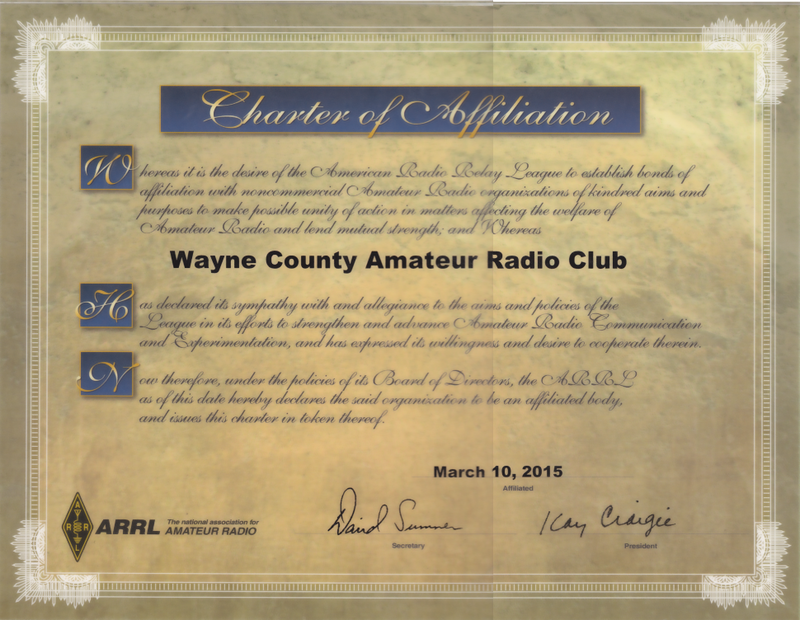 The Wayne County Amateur Radio Club is an ARRL Affiliated Club that was formed in 2015 in order to promote the use of amateur radio within the community and to support Wayne County with public and emergency communications. The Wayne County Amateur Radio Club welcomes amateur radio operators as well as communication, electronics, hardware, and software enthusiasts and anyone with an interest in Amateur Radio is invited to join our club. The Wayne County Amateur Radio Club also conducts VE (volunteer examiner) sessions for people who wish to obtain their amateur (ham) radio license. Members also support “ARRL Field Day” operations scheduled annually for the last full weekend in June. Field Day lets hams operate under field conditions and hams aim to make as many US and Canada radio contacts as they can. Club meetings take place at the Gravity Inn located in Waymart, Pa on the Last Monday of each Month. Meetings begin at 7:00 pm and normally end around 9:00 pm. We welcome hams and non-hams as well as non-members interested in communications and electronics to join us at one of our meetings.